Star Wars: Jedi Academy is one of the most entertaining and hilarious book series of the last few years. 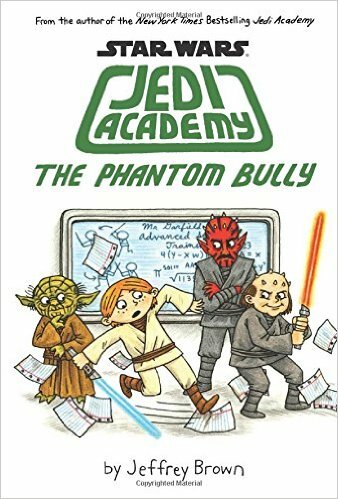 The third book in the series is called The Phantom Bully (in stories now), and it may be the best of the bunch. It’s hard to believe this is Roan’s last year at Jedi Academy. He’s been busier than ever learning to fly (and wash) starships, swimming in the Lake Country on Naboo, studying for the Jedi obstacle course exam, and tracking down dozens of vorpak clones–don’t ask. But now, someone is setting him up to get in trouble with everyone at school, including Yoda. If he doesn’t find out who it is, and fast, he may get kicked out of school! Why can’t middle school just be easy. . . This entry was posted in News & Reviews and tagged Slider on September 3, 2015 by Clay Swartz.